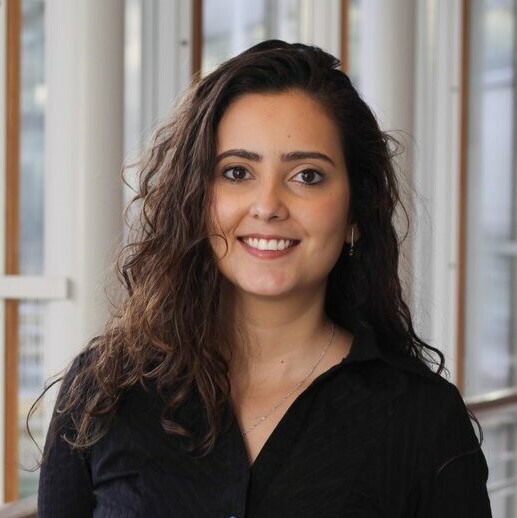 My name is Aline Novaes and I am part of wave 3 in the Global Graduate Program at SKF. 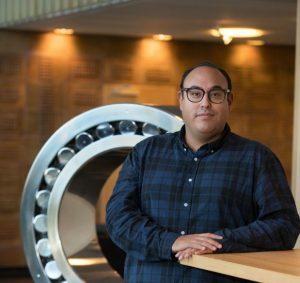 I am originally from Brazil and I studied a master in Logistics and Transport Management at Handelshögskolan in Gothenburg. Everyone at this program starts the first rotation in their home country. I know it can be hilarious but my home country is Sweden ! Yes!! I was hired just after finishing my studies in Gothenburg. Purchasing is the first department I am rotating and so far I have been working on two parallel projects. The first one has its focus inside both factories and it involves processes mapping, total cost of ownership, risk assessment/mitigation plan and… believe or not, an implementation plan involving all the factory stakeholders. At first sight, this project seemed to be very challenging for a newcomer and, at the same time, an opportunity to improve my supply chain skills and show what I am capable of deliverying. With help of my mentor, my manager and my factory host manager, I could set myself an action plan and proper timeline. I am still working on it and it feels great to be learning so much! My second task is a contribution for SKF risk mitigation plan for Brexit. It is regarding how our supply chain will react considering different suppliers, factories, warehouses and clients. 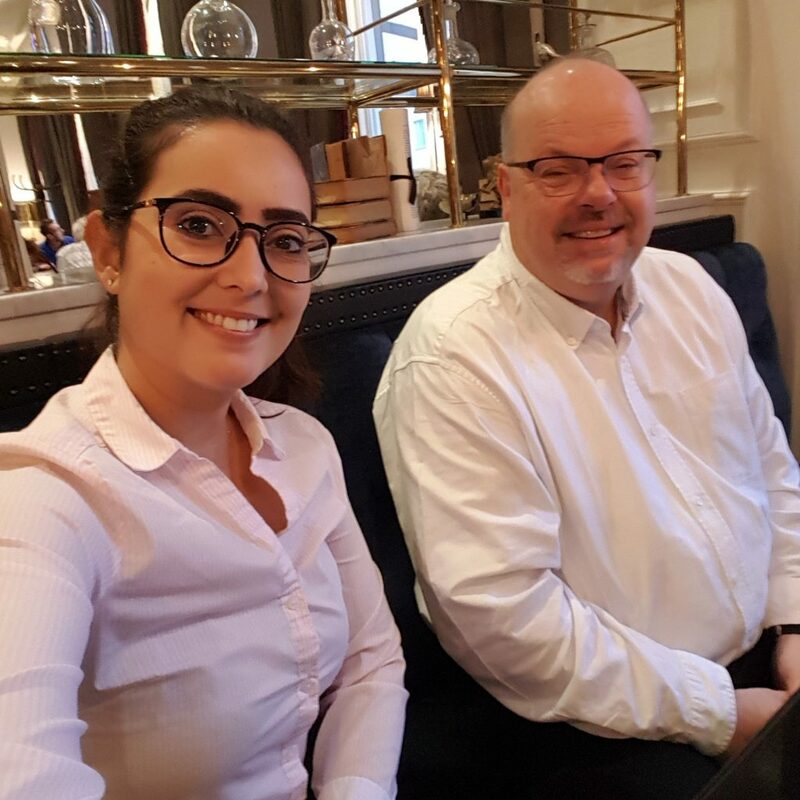 This is a very interesting project because is giving me the chance of working with experienced colleagues from other departments and have an overview of all aspects in such a big project. My contribution is to control overtime actions regarding risky suppliers to avoid supply chain stops all around the world. Parallel of those activities I have been trained to be a world-class buyer! I have been doing request for quotations, visiting suppliers, learning how to do internal and external analysis, participating in various trainings, etc. Me and the experienced buyer Thomas Loong in one of our business trips. I am not going to lie, a Graduate life at SKF is busy! 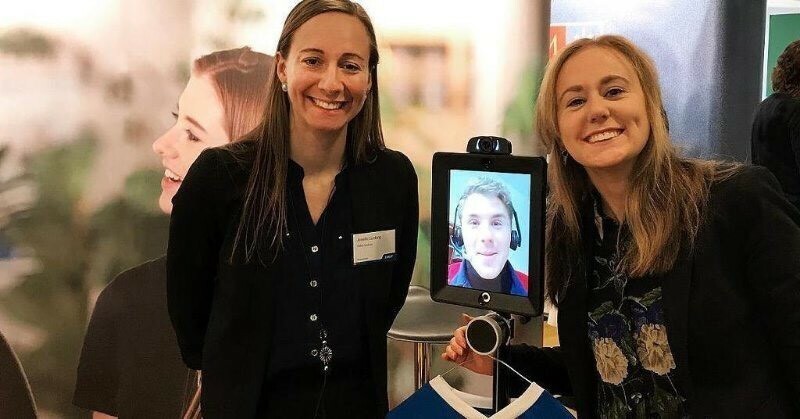 In addition to the already explained tasks, we join career fairs all around Sweden to talk to students about the opportunities in the company. 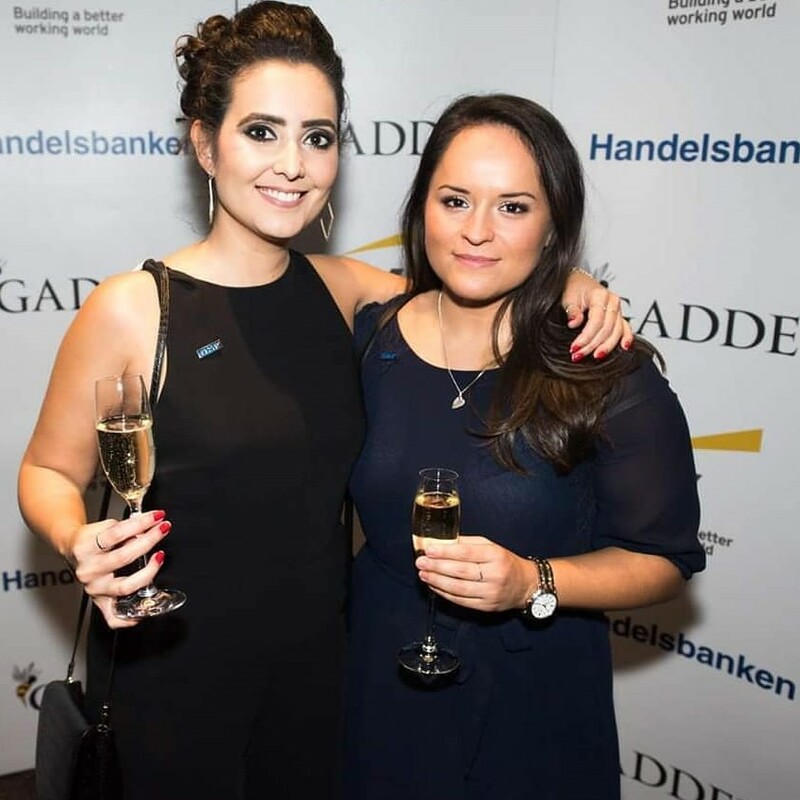 In the evenings, we sometimes attend to fancy banquets representing SKF. It is an honor usually a lot of fun! 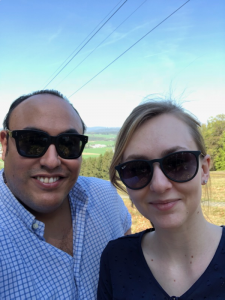 Me and the other graduates – Josefin Locking and Emilio Echalar, now located in Argentina. We were testing our robot for the career fairs. Me and Veronica Rodriguez being super fancy and attending to one of the evening banquets. One thing that surprised me is the type of leadership culture we have in the company. So far, I have been experiencing accessible managers who shows interest for my ideas and insights. They also empower me to think and decide. I am very glad to be part of an organization that have this mindset and I feel energized every day I wake up to come to work. In 2019, I will go for my second rotation in Singapore inside the logistics department. I am looking forward for my first time to Asia when I will spend 5 months experiencing a new culture, new ways of working and living. My name is Alessandra, and I come from Italy. More than one year ago I was joining SKF Global Trainee Programme, and I remember very well when I was preparing my luggage ready to go to Sweden to have my introduction month with my new colleagues. So many emotions back then, a mix of thrill and excitement that comes along with every big change. I had a lot of hopes, but nothing could have prepared me to this fantastic journey that I’m having the chance to be part of. This is me, Alessandra at the Gothenburg HQ. 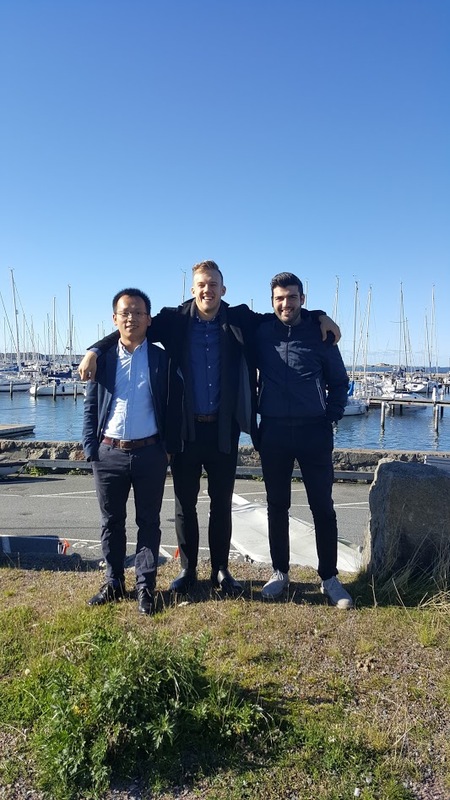 After the introduction month I left Sweden with new friends, not only colleagues. 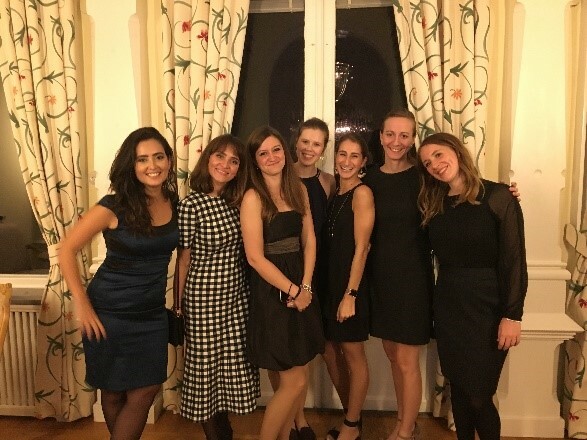 I started my first rotation of 5month in Italy, and that rotation has brought challenges that I didn’t expect. I had been working in Manufacturing, and beside the two projects that I was assigned, I was also highly involved in many activities that exposed me directly to a daily interaction with one of our biggest customer. It have to admit it had been extremely tough, but incredibly satisfying at the same time. 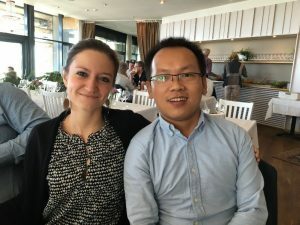 Me and my Global graduate colleague Li from China. 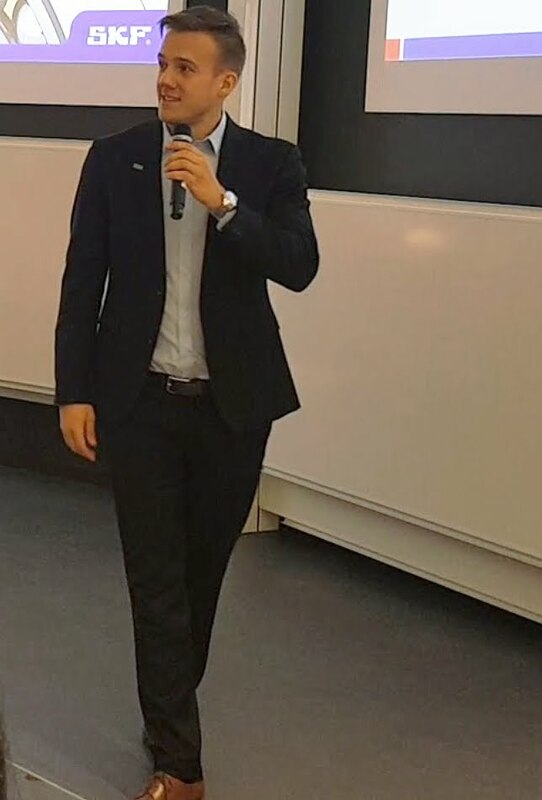 My second rotation was in Germany, and my project in Supply Chain department. This has been a place where I learnt so much, and where I definitely and unexpectedly left my heart. I have been able to see a structured and precise way of working, and I have really understood the importance of a good team-work, and all the advantages that this brings along. Then, time for a new adventure: India! I arrived one month ago, and at the moment I am working here in Bangalore on projects that involve cross-functional roles, from Sales, to Application Engineers, Business Development, Product development and Process Development. It is so interesting, and I am learning so many things! 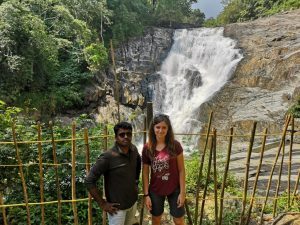 On an excursion exploring the amazing nature with my Indian colleague. 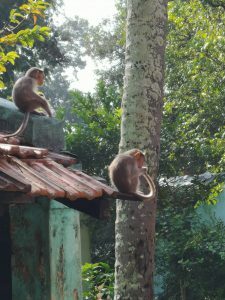 Monkeys at the SKF site in Bangalore, India. 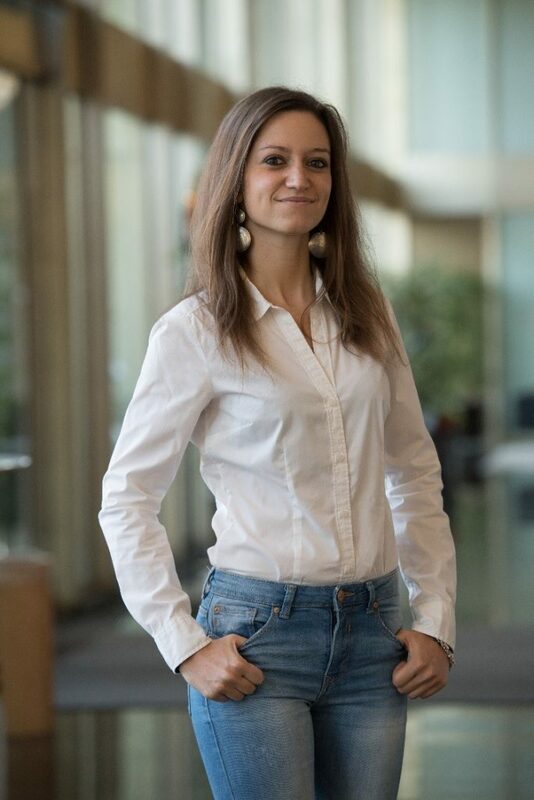 This program is giving me the unique chance of rotating through different departments, giving me an insight of different functions: this provides me with a 360° exposure that is absolutely rare and unique, and is allowing me to really have a priceless experience. It’s not always easy, you have to adapt and start from scratch every time, new people, new projects, new roles.. but it’s also so exciting that I wouldn’t change it for nothing else! It allows me to learn a lot not only about a big company as SKF and its dynamics, but also about different cultures (still have a long way to go before I can say I have understood everything here! ), and last but not least, about myself. You need to be humble and tough at the same time, be determined and be also able to drive yourself your development. Nothing is served on a silver plate, and this is also part of the fun, going and getting it yourself 🙂 Work hard and have fun along the way! I am extremely thankful and satisfied of this journey up to now, combining professional growth with travelling and, as a side effect, it also gets you friends from all over the world! Anyway, now it’s time to introduce myself. I am Matteo Sanna, soon to be 26 years old; I’m from Italy and I was lucky and determined enough to get into the Programme. 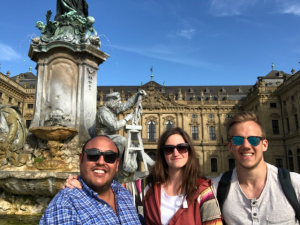 As you may know from the previous posts, we all get the opportunity to spend some time working abroad. In my case, after 6 months spent working in the Italian organization, I moved to Spain in the lovely city of Tudela. 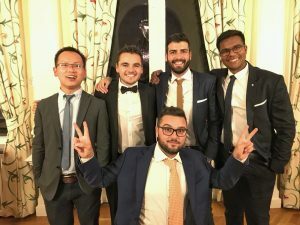 Being in Spain I got the opportunity to work within process development and operations (I am a Mechanical Engineer, so you could guess I was happy to work within these fields) having a full operational role and responsibilities. 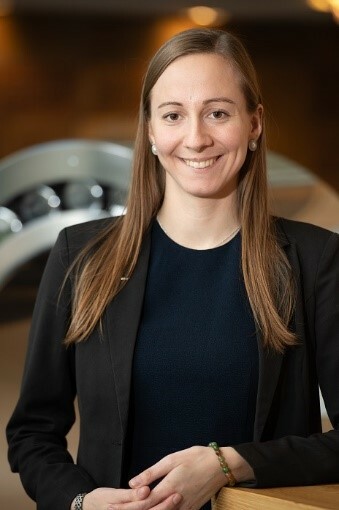 I learnt a lot on the processes we carry out in SKF to produce bearings for the automotive market and I also got the opportunity to apply what I studied in the university (which is more unusual to do than you may think). Working within operations was cool as I got a different point of view of the production process. Living in such a beautiful country as Spain I also travelled a lot in the weekends and I got the crazy opportunity to participate to the famous San Fermin festival in Pamplona. 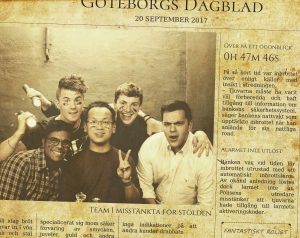 After 5 months spent in Spain I went to Gothenburg to gather with the other Graduates. I also had the opportunity to represent SKF at the UNITECH career fair at Chalmers University of Technology. It has been an honor to be chosen to represent my company in such an important event with a lot of talented students from the best technical universities of Europe. 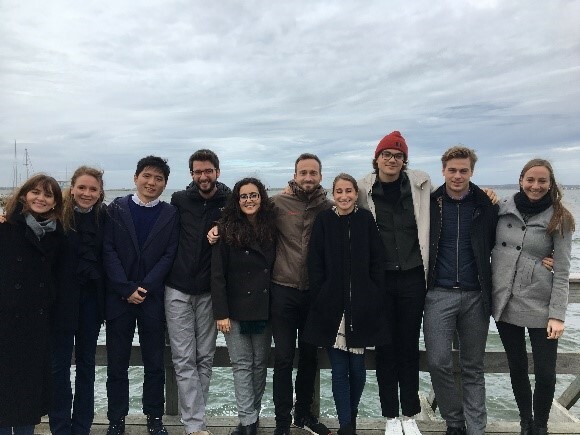 Coming back to Chalmers, where I spent one year of my master during an exchange programme, made it even more special. After almost three weeks in Sweden I took a flight with destination South Korea (travelling 23hrs and moving ahead of 7hrs!). I am currently here in Busan, second largest city of the country. I am still working within process development but this time I am focusing on new projects: this is great because after gaining experience on improving existing process I have to opportunity to contribute and apply my knowledge on the design of new processes. Living in South Korea is a new experience everyday, starting with the crazy traffic jams on Friday evening to the spicy Korean food. Again, I am not missing the opportunity to travel in the free time, staying in Korea or going abroad in one of the beautiful neighbors country. I hope you enjoyed this reading, stay tuned for the next posts from my fellows Graduates! I’m Emilio from Gothenburg, Sweden. I started at SKF end of August in the global marketing team. There I did my first project, the project involved digital marketing and digital campaigns. It was super fun, I got to meet so much inspiring colleagues and other people during the various courses I did. I’m currently on my second rotation in Schweinfurt, Germany, working on a very interesting mountain bike project. I am responsible of all the social media strategy in this mountain bike project. The project is about providing our mountain bike customers with better products, this project will therefore have an impact on mountain bikers all over the world. Germany as a country is very beautiful and all the people are super nice. Two things that strike me is that Germany is more analog than I thought. Most of the places don’t accept card and you pay everything with cash (restaurants, stores, taxi etc.). Another thing is the internet connection in the country, is super slow, I’m very surprised. When it comes to the German work culture the German colleagues are way more prepared during each meeting than we Swedes are, also they like quick and efficient decisions (not waiting for a consensus like we Swedes tend to do). Time is of essence for Germans, they don’t want you to be late nor to waste their time with a poorly executed meeting or PowerPoint presentation. 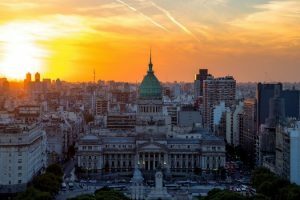 For my third and last rotation, SKF is sending me to Buenos Aires, Argentina. I’m super excited to see what Latin America can give me both professionally but also personally. In one way, you could say that I will experience how my life could have been if I was born and raised there instead of Sweden. 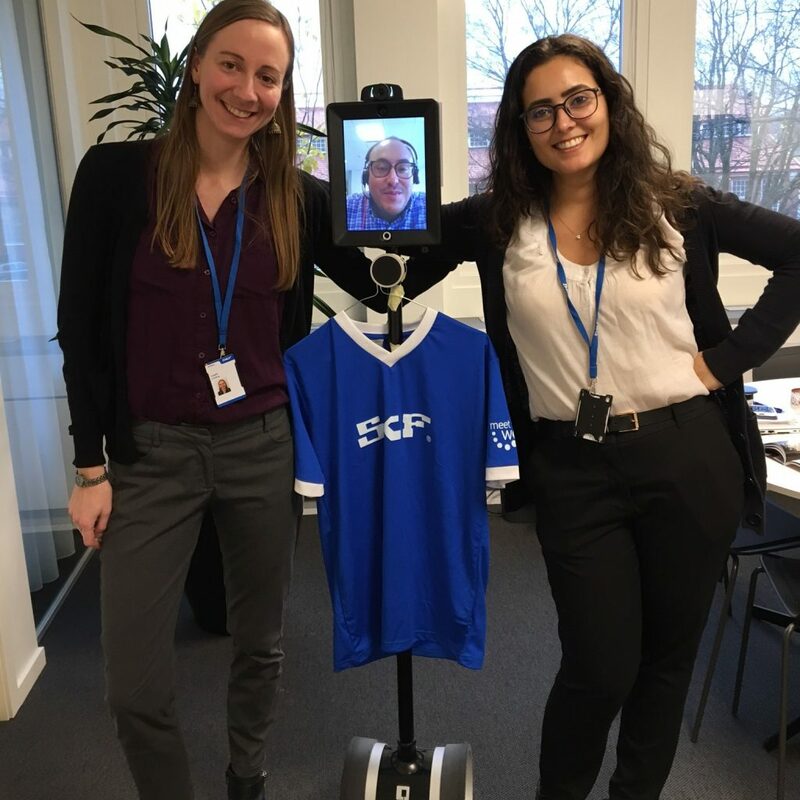 My name is Allan Methven and I am one of the new Global Trainees at SKF! let me tell you a bit about myself and my experiences so far. I am from a small town on the west coast of Scotland (If you are fortunate enough to meet me, you may have some issues understanding my accent as most people do). I studied Engineering with Management at Edinburgh Napier University while also working as an Assistant Engineer for a privately owned company within Water Sector. 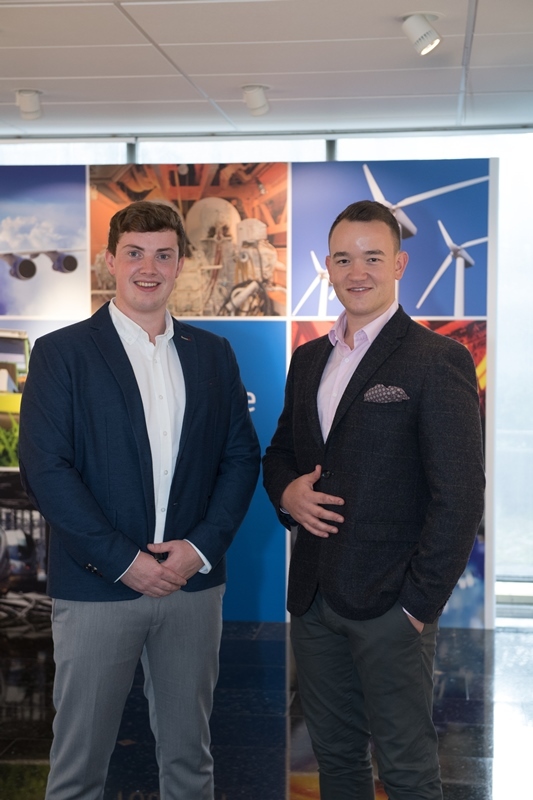 Once I had completed my studies I had the opportunity to join a Graduate Programme with a large manufacturing company within Aerospace Industry. After a year on the programme and having held two 6 month supervisory roles, I was preparing to move to Wales for my final year. One morning I just happened to be scrolling through LinkedIn and I came across the job advert for the position of a Global Trainee at SKF. 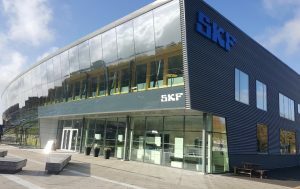 While working for an engineering company I had come across SKF on several occasions as we purchased SKF bearings and also Condition Monitoring products. I had also been on training courses held by SKF in the past. Taking all of this into consideration it was a no-brainer applying for the job. 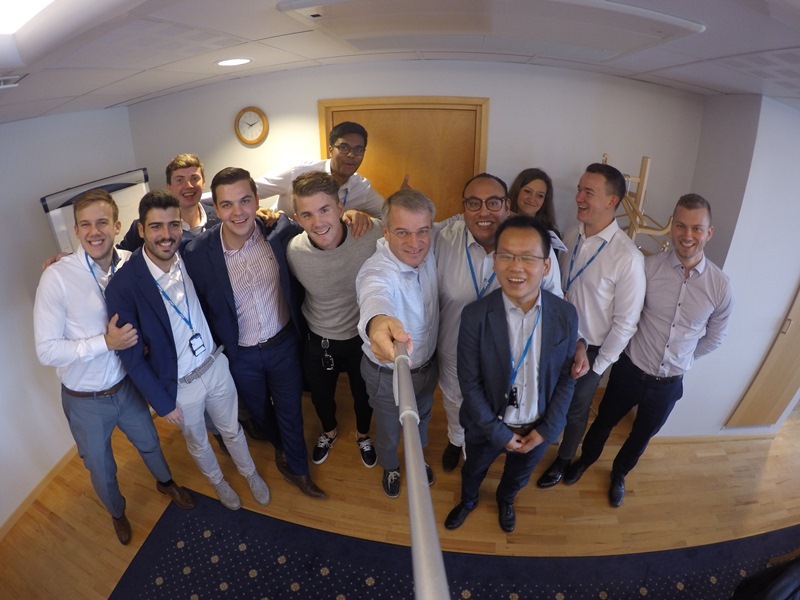 I accepted the offer to join SKF in September and within two weeks I was in Gothenburg with ten other Global Trainees from around the world meeting Alrik Danielson the SKF CEO. I don’t think you could have asked for a better start to a new job! 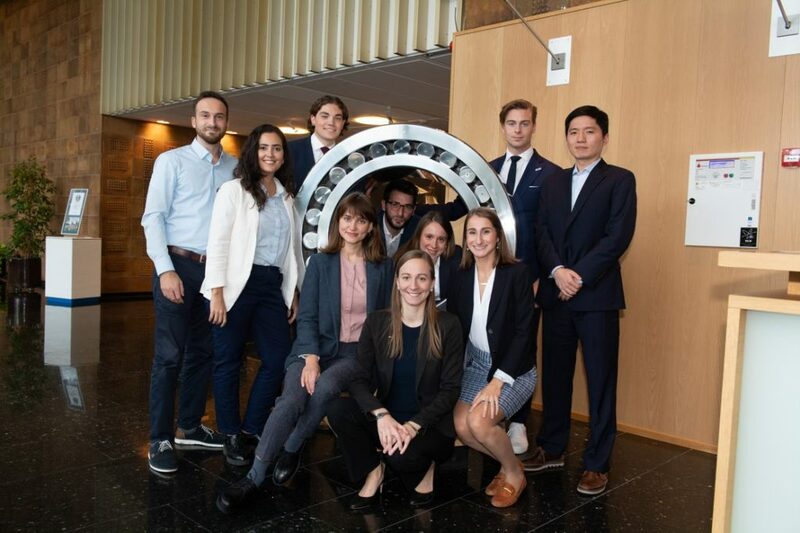 I spent one month with the other global trainees in Gothenburg where we met all members of the group management team while also taking part in Factory tours to understand the manufacturing process. To me, the introduction month was a perfect way to get to know each other while also allowing us to find out more about the future of SKF. This would also be the start to me building my global network within SKF! I was hired by SKF to work within the Innovation & Business Development unit. A lot of people only know SKF for their bearings but we are a lot more than just bearings. Wouldn’t it be great to be able to tell the condition of your machine before it fails? Well, we can, using Condition Monitoring. I am currently working at the Hardware and Software Development Centre here in Livingston where we design the Condition Monitoring products that allow us to do this. This has been a really interesting rotation as it has allowed me to understand the product development process for these products. 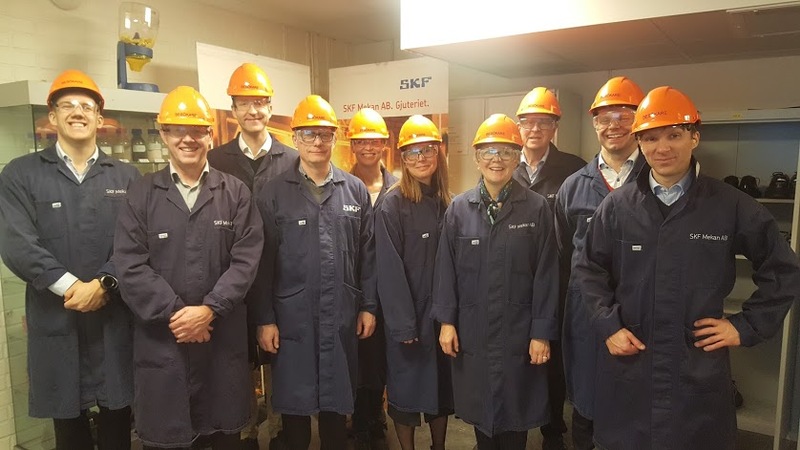 In addition to learning about the product development process, I have also been working on a project that is looking at we can further support the Sales & Service teams throughout SKF. This has allowed me to understand what information the Sales teams require to be able to sell these products to the market and also what support our Service Engineers require in the field. 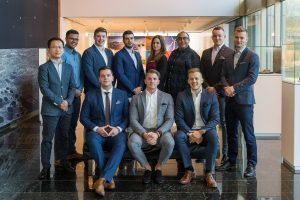 This project has allowed me to grow my global network as I am regularly speaking to Sales Directors and Business Development Managers from all around the world! At the end of March, I will head to Finland to work within the Industrial Market Sales team for five months. This will allow me to understand how the Sales teams operate in other countries. 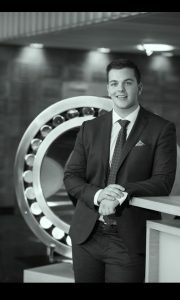 My final rotation will be to working at the Precision Bearing Factory in Italy where I will get an deep insight to how the precision bearings are manufactured! I hope you all the best in your careers and if you are ever in Scotland give me a shout and I will be happy to give you a tour!